10. Must See? 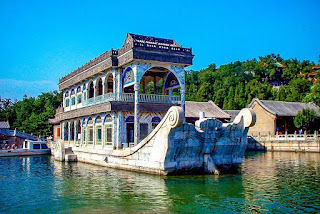 The Summer Palace. The Palace is an area of 4 km2, consisting of temples, lakes, parks, and bridges. It is included in the UN world heritage list and has a history that dates back to the 12th Century, around the time of the Jin dynasty. We spent the whole day there, visiting the various palaces. Dilek particularly enjoyed learning about Empress Dowager Cixi and later on purchased the book written about her by Jung Chang (which has received a lot of criticism, we know). 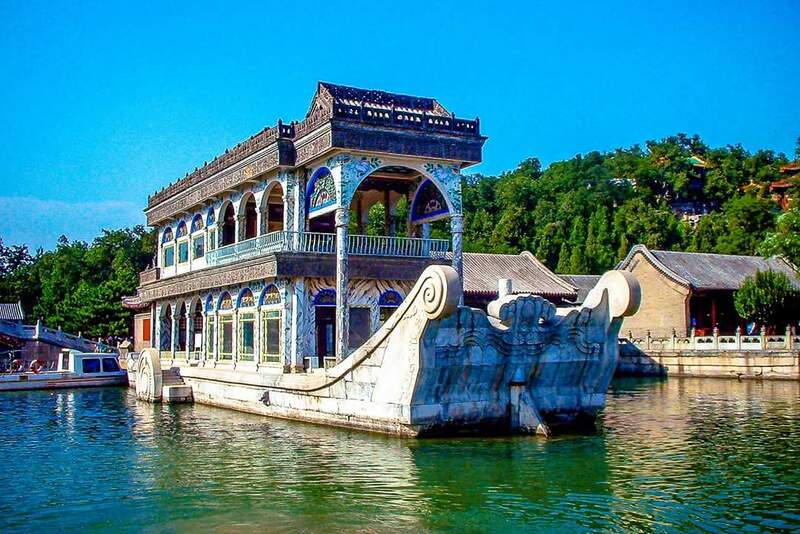 We also found the Marble Boat (the Boat of Purity and Ease), restored by Empress Dowager Cixi, to be very picture worthy. Naturally we spent a considerable time on Longevity Mountain, which takes up most of the area. 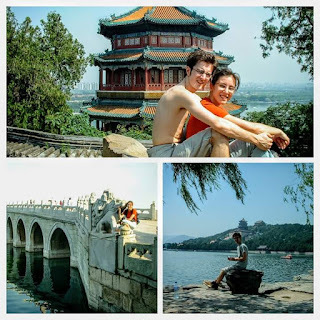 The palace is a bit outside of Beijing, so you need to plan for that when visiting. We actually overslept until 12:00, perhaps a side effect of the beetle we had for dinner the previous night☺. Since the palace is only open until 16:30, we were worried we would not make it. We quickly rushed to the Metro and got off at the last stop (by the way, after the 2008 Olympics, the Beijing Metro is quite a bit bigger than it was during our first visit there). We took a taxi, the rest of the way, and actually made it in about an hour. Sunstroke again... Take off your shirt. It was a wonderful day, but towards the end Vedran started showing signs of sunstroke again, just like on the day we visited the Great Wall, so we decided not to push ourselves too far this day. In a related note, that is the reason Vedran is shirtless in many of the pictures from this day; He was using his shirt as a hat ☺. Why we did not just purchase a hat is a good question. I guess we can only explain it with youth. We returned to our room to pack and prepare for the next phase of our trip. Tomorrow we set off for Hong Kong!!! Have you been to the Summer Palace? What did you think? Post in the comments below. 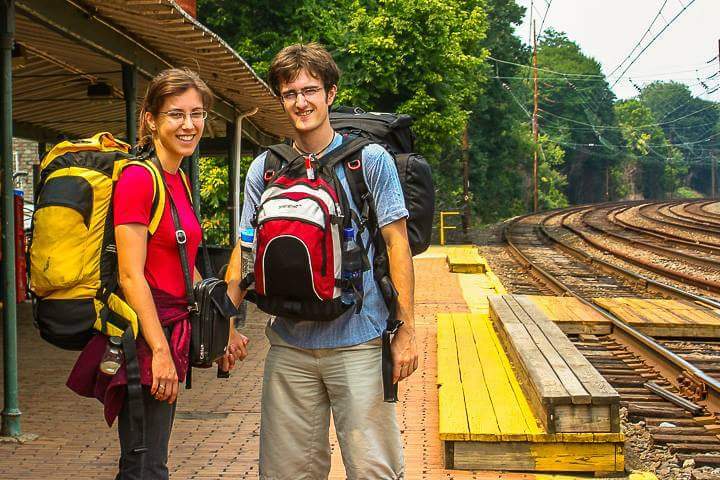 Read Next Adventure: What are the PROs and CONs in taking a 25h train to Hong Kong? PROs: 1) Cheapest Option. 2) Comfortable bed compartment 3) Huge Variety of people from all backgrounds and of all ages, who are very eager to talk to tourists. You will definitely not be bored!